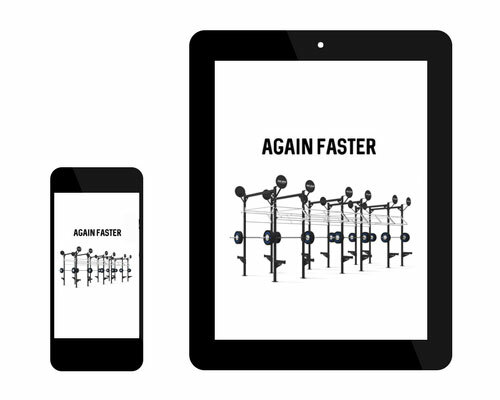 With the Again Faster Custom Rig Builder app, it's easy for you to design your own rig in your own time. 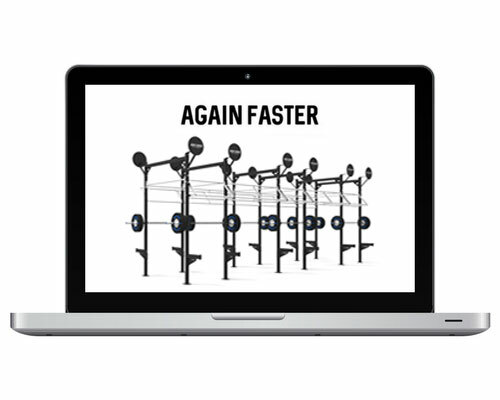 Your pull up rig is the bones of your gym, this tool can help you select and assemble the right components for your facility's space. Create your own rig and add accessories to give it a professional touch, then Capture and save a 3D image of your rig to your gallery. Get a quote for your custom rig with a button tap, sending us a request within the app. It's that simple! PC version available for download! Download and launch Again Faster Custom Rig Builder App on your PC. It's quick and easy! No need to install. You simply need to download the .zip file in Dropbox, unzip the folder and run the .exe, to use and enjoy the Custom Rig Builder tool. Build a rig for your space or any rig that you can imagine. With the drag and drop interface, get all your best ideas down in a few minutes. Once you've got your rig built, adding the essential accessories is no problem at all. Just drag and drop those onto your rig too. Use the rotate rig or free camera modes to position your rig, then, take a photo of your rig, which is saved to a library for you. When you've finalise the design of your rig, tap the get quote button, enter your details and a quote will be sent to you directly. Download the app and start building today!